Hey preachers, I was invited to write the “Working Preacher” commentary this year on weeks 3-5, 7 of Easter in the lectionary (on 1 John). 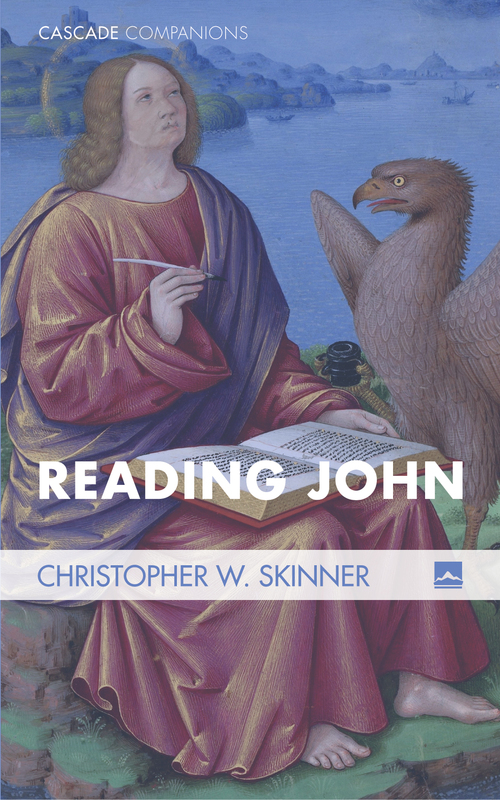 This was a fun challenge because I have not done a lot of work on the Johannine Epistles – I was blessed! Check it out if you are interested: Working Preacher. What do you think about this analogy of old and new covenant? The most recent issue of NTS (61.2) has a summary of the SNTS conversation that took place between George Van Kooten, Oda Wischmeyer, and N.T. Wright on the subject “How Greek Was Paul’s Eschatology?” Van Kooten urges that there are such clear substructural similarities between Paul and Stoic thought and this should affect how we analyze Paul’s eschatology. N.T. Wright is obviously suspicious of such an argument and argues that Paul’s eschatology fits entirely within a Jewish-religious framework transformed through the Christ event. Oda Wischmeyer offers what I think is the most helpful essay regarding this question. Wischmeyer points out that in the Pauline letters, Paul does not explicitly quote Stoics or refer to any philosophy directly. That should warrant caution. Also, most Greeks tuned in to philosophy did not think in thoroughgoing eschatological terms, she argues; “cosmology” is more central to Greek philosophy than “eschatology,” but the Stoics (in particular) did have a view of the shaping of things to come. Wischmeyer concludes: “we will fail to find influences of distinct philosophical schools such as the Stoa or Platonism, when we look for elements of Greek eschatological ideas in Paul. What we will come across, however, is something like a philosophical koine, words or even terms that are used in Jewish and non-Jewish Greek philosophical and religious language — ‘language’ understood in terms of terminology [e.g., eikon, kosmos]” (247). Part of the discussion involves Paul’s own education. Again, Wischmeyer explains: “As far as I can see, we should seek to understand Paul as one of the so-called Jewish-Hellenistic diaspora writers with more or less loose relations to their cultural environment, but we should not feel inclined to put him especially close to figures such as Philo or Josephus – Jews with a profound education in both Jewish and Greek religious, ethical and philosophical tradition and literature, who are not only aware of Greek philosophical debates but often explicitly discuss the position of philosophers.” (247). Again, this little summary of engagement is a fun read. 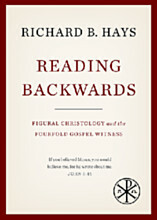 At the end of 2014 I had high hopes of blogging chapter by chapter through Richard Hays’ new work, Reading Backwards (Baylor, 2014). Truth be told, I got sidetracked and by the time I finally got back into the book there were a number of good online reviews and I really don’t have much to add to that discussion. So, please permit me now to simply provide some reflections on the book. Richard Hays has two interests in this short book, both of which are identified in the subtitle: Figural Christology and the Fourfold Gospel Witness. First, he urges that the Evangelists did not proof-text the OT, but neither did they read it in a straightforward contextualized sense. Rather, there is a kind of dialectical relationship between old and new. The term he uses for this is “figural reading” – he defines this as “the discernment of unexpected patterns of correspondence between earlier and later events or persons within a continuous temporal stream” (p93). What about supersessionism? Hays is rightly sensitive to this. 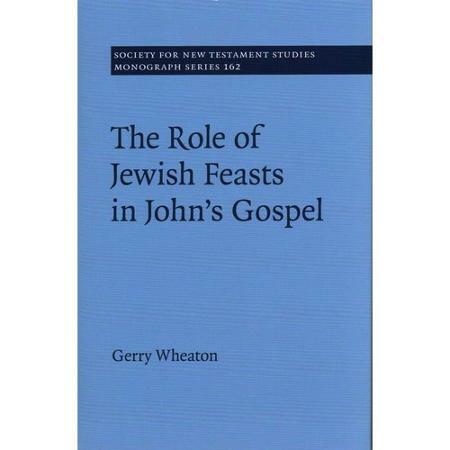 He affirms that a figural reading does not reject the first sense, but continues it and adds to it: “The canonical Evangelists understand themselves to be standing within the still-unfolding narrative trajectory of Israel’s covenantal relationship with the God of Abraham, Isaac, and Jacob” (106). What was their Old Testament? Hays notes that the Evangelists tended to prefer the Septuagint. This forces us, once again, to re-think the nature of the Old Testament. Hays leaves open the possibility that we should extend special authority to the Septuagint (e.g., maybe Augustine was right!) (p. 107). 1. How aware were the evangelists of their hermeneutic (this is briefly touched upon in the preface)? And how aware were they of the differences between them (e.g., Matthew versus Mark, or John versus Mark)? 3. What are the controls and limits of “reading backwards”? Who does this reading and how do you know it is right? Sometimes when Hays refers to “reading backwards” (as a Gospel-shaped hermeneutics, .e.g, p. 104), it is unclear who is doing this reading. Are the Evangelists concretizing canonically these readings, or is there a kind of openness for Christians yesterday, today, and tomorrow to freshly discover through reading backwards in ways the Evangelists had not considered? I know Hays is well aware of the debate about this, and I don’t blame him for not addressing it in his short book, but inquiring minds hope this makes it into the big book. 4. How would Jews have made sense of an “embodiment” of Israel’s God? Was he another god, or perhaps another version of God? Was he YHWH “in the flesh,” so to speak? What were the Evangelists thinking as they made these associations? Did they think the ideas they were alluding to were dangerous, blasphemous (even if true)? How could they even conceive of making such a radical statement, and if they knew it was radical, why do it without giving a more complete explanation or defense? That’s all I want to say at this point, other than to encourage you to pick up the book if you are interested in the relationship between the Old Testament and the New. Justo L. González is an impressive theologian – not only is he the author of the popular The Story of Christianity textbook, but he has written as well on preaching, Christian theology, and even biblical studies. In particular, has written books on Revelation and Acts. 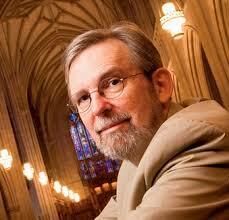 In 2010, he published the Luke volume in the WJK Belief series. 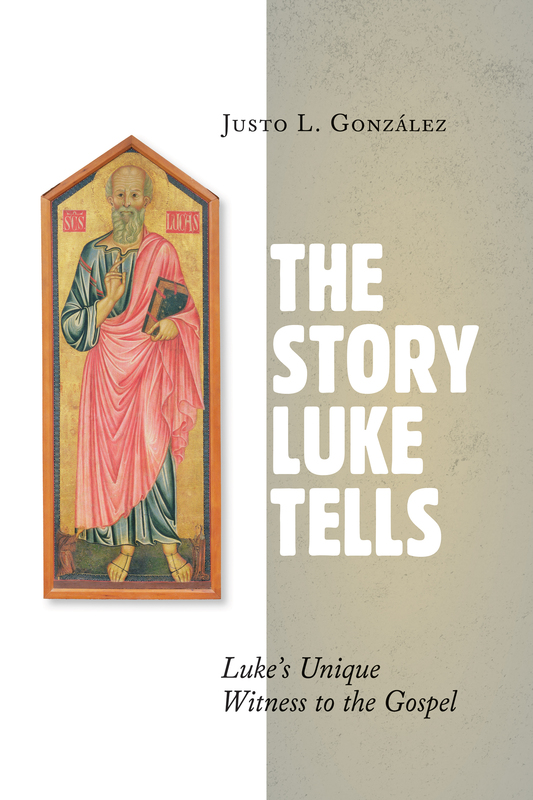 This year (2015) he wrote a book, probably growing out of his commentary, called The Story that Luke Tells: Luke’s Unique Witness to the Gospel (Eerdmans). It is more of a popular-level theology of Luke – there are no footnotes or bibliography. González treats eight themes: history of humankind, history of Israel, “the great reversal” (of the gospel), gender, salvation, food and drink, worship, and the Holy Spirit. It is a very enjoyable read, and perhaps would work well for a Sunday school class or Bible study. There is a measure of irony in this story. The Spirit sent Paul a vision of a man, and what he found in Philippi was a group of women! What is often said about Paul’s anti-feminine prejudices is probably at least an exaggeration, and perhaps even an error. But if Paul did have such prejudices, which were common in that time, Luke presents the Holy Spirit as overcoming them by sending Paul the vision of the Macedonian man, when what he is to find in Philippi is a group of women” (57). Also, González notes that the Western text-tradition tends to suppress attention given to women in Acts. For example, on one occasion, when the text should read “Priscilla and Aquila,” the Western text reverses the order (see p. 58). In Acts 17:12, the text says that in Beroea there were “not a few Greek women and men of high standing,” but the Western text says there were “women and not a few men of high standing.” González also notes that in Acts 17:34, the Western text leaves the female name “Damaris” out of the text entirely. These are interesting observations and I am inspired to look further into ostensible biases of the Western text tradition. González is a winsome and gifted communicator, and he “holds his own” in the Biblical Studies arena. If you want to dip into Luke’s theology and his message for the church today, this is a pretty good place to start.